Francis Dashwood, 11th Baron Le Despencer (1708-1781), Conservative politician; Chancellor of the Exchequer and rake. Sitter associated with 8 portraits. William Hogarth (1697-1764), Painter and engraver. Artist associated with 127 portraits, Sitter associated with 19 portraits. 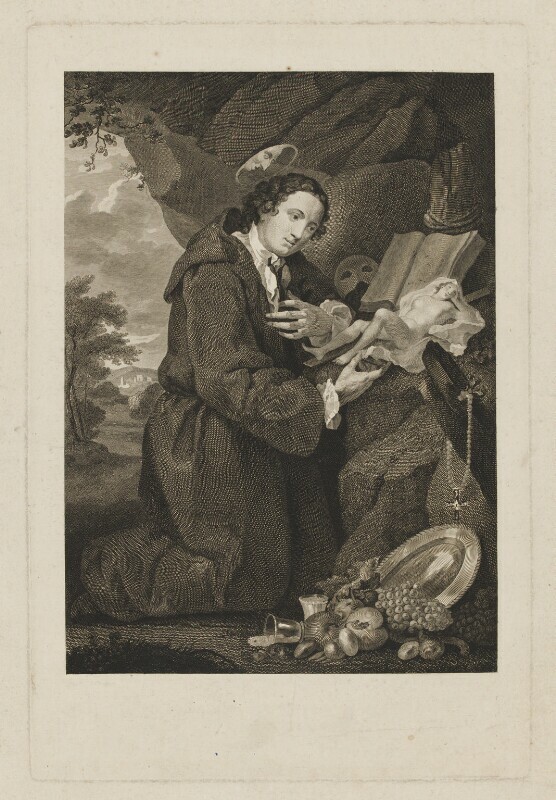 William Platt (1775-after 1796), Engraver. Artist associated with 7 portraits. Death of George II on 25 October at the age of 76. George III succeeds to the throne at the age of 22. German artist Johan Zoffany arrives in England, where he is instrumental in reviving the 'conversation piece' genre of painting. First public exhibition of paintings in England is held at the Society of Arts' Great Room in the Strand, London. The Public Ledger is founded; the oldest British periodical with continuous daily publication. Seven Years' War: At the Battle of Carrickfergus in Ireland, a force of French troops captures the town of Carrickfergus before retiring. Surrender of Montreal to the British under General Jeffrey Amherst signals the virtual loss of Canada by the French. British troops oust the Nawab of Bengal Mir Jafar and replace him with Mir Quasim. Former Chief Tacky leads an unsuccessful slave rebellion in Jamaica, which aims to overthrow British rule.